My journey started more with health and rehabilitation being the focus and at the time I was not really thinking about diet or nutrition. After injuring my back and being in pain I spent years away from the gym and any type of exercise so my goal was to just physically feel better. Working with Aubree she developed a program that accomplished that goal and now that I was feeling better I wanted to physically look better. Since Aubree was successful at helping me with my goal of feeling better I decided to talk to her and see how I could get better at my diet and nutrition. Through the years I spent away from the gym my eating habits were not what they should have been. I got to the point to where if it tasted good I would eat it. This would mean fast food, eating pizza once or twice a day 4-5 days a week or on the way home from work eating a carton of doughnuts while drinking a quart of chocolate milk. I knew I was going to have to drastically change the way I was eating and that in order for this to work I would need some accountability. Aubree introduced me to the idea of counting macros and showed me what I needed to do to achieve the weight loss goal I wanted. She also would take time to explain the importance of specific nutrition goals, supplementation and even send me articles to read about making better food choices. Since we have been working together I have hit some amazing goals! 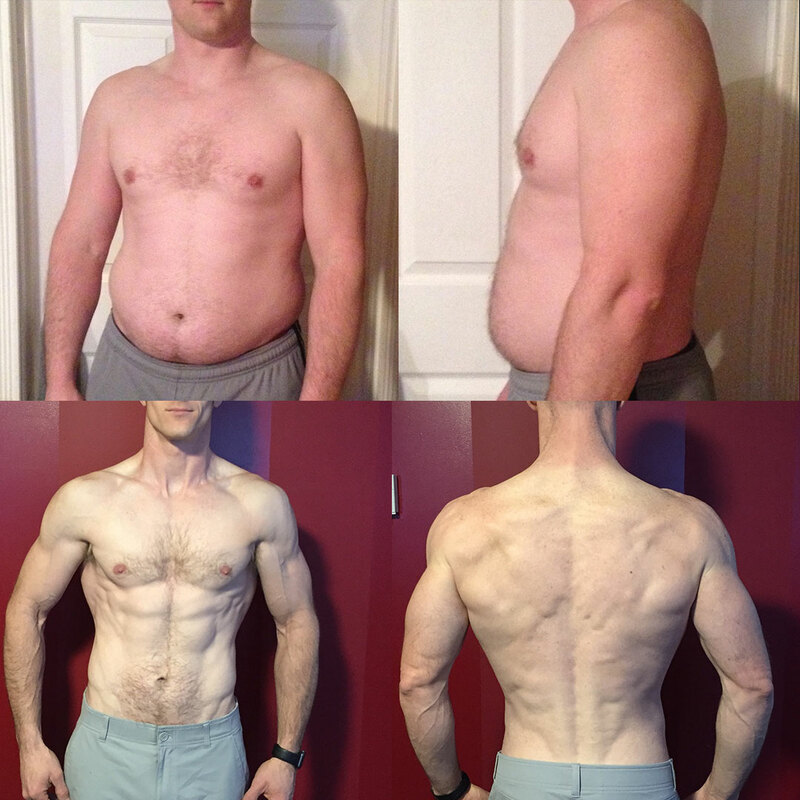 I went from at my heaviest 245 lbs down to 177 lbs, and at age 36 I was leaner than I was in high school! The weight loss I have been able to accomplish never feels like it is something hard to do. I feel like the nutrition program I am following I could follow it the rest of my life and never feel like I am denying myself anything. I am still able to eat the foods I like pizza, ice cream, etc. but they are in moderation and tracked. Once you pay attention to the nutrition facts of the foods you are eating compared to the macros you have available to eat it helps you to make much wiser food choices. This is something I never thought about before. The journey I am on now is amazing and I wouldn’t change a thing. 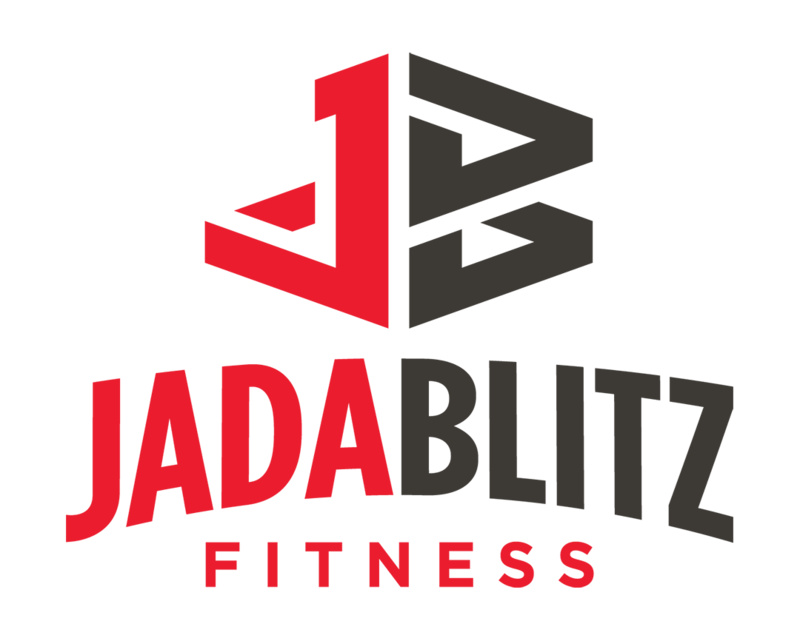 I am so glad I made the decision to begin my training at Jada Blitz and trusted them with my nutrition goals. 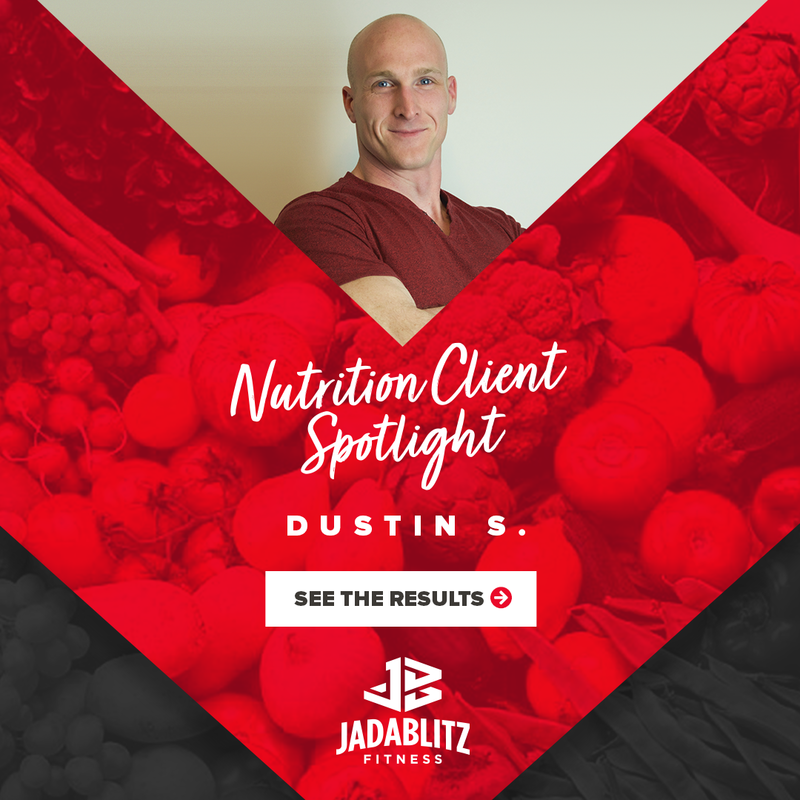 Aubree and Justin have been great and continue to encourage and motivate me to continue in both my fitness and nutrition goals.